EMA has published today for public consultation its updated scientific advice on the categorisation of antimicrobials . The scientific advice refines the classification of these medicines according to the risk their use in animals causes to public health through the possible development of antimicrobial resistance. The update aims to take into account the experience gained since the initial publication of the categorisation of antimicrobials in 2014. It was prepared by the Antimicrobial Advice Ad Hoc Expert Group (AMEG) and adopted by both EMA’s human medicines committee (CHMP) and veterinary medicines committee (CVMP). The 2014 classification proposed three categories for the antimicrobials classified as Critically Important Antimicrobials (CIA) in the World Health Organization CIA list, i.e. those of most relevance for human health. EMA’s updated categorisation considers all classes of antimicrobials and includes additional criteria such as the availability of alternative antimicrobials in veterinary medicine. The refined classification now comprises four categories, from A to D, each of them with a key action word attributed for more clarity. Category A (“Avoid”) includes antimicrobial classes not currently authorised in veterinary medicine in the EU. For these medicines, their use in food-producing animals is prohibited and they may be given to individual companion animals only under exceptional circumstances. Category B (“Restrict”) refers to quinolones, 3rd- and 4th-generation cephalosporins and polymyxins. Use of these antimicrobials in animals should be restricted to mitigate the risk to public health. Category C (“Caution”) covers antimicrobials for which, in general, alternatives in human medicine in the EU exist, but in veterinary medicine there are only few alternatives in certain indications. These antimicrobials should only be used when there are no antimicrobial substances in Category D that would be effective. Category D (“Prudence”) is the lowest risk category. Antimicrobials belonging to this category can be used in animals in a prudent manner. This means that unnecessary use and long treatment periods should be avoided and group treatment should be restricted to situations where individual treatment is not feasible. The categorisation is now open for a three-month consultation. 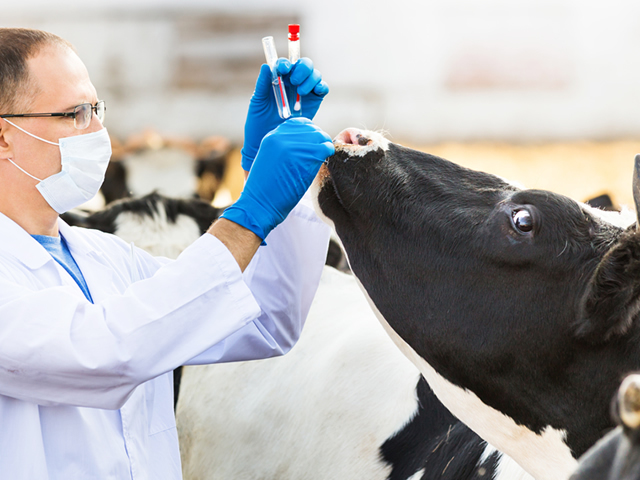 Once finalised, it will help decision-makers in the EU in drawing up guidelines for use of antimicrobials in veterinary medicine. Comments should be provided by using this template. The form should be sent to vet-guidelines@ema.europa.eu no later than 30 April 2019.